I am Rachel (Wilkes) Marek, owner of RW Marketing & Design. 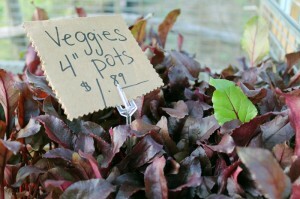 I love all things local from the food I eat to stores I frequent. If it is possible to spend my dollar supporting my neighbors, I will make that choice every time. My personal belief is that the principal obstacle between small businesses being able to compete against the big box stores is marketing. It is my goal to market small companies as well as reveal my small business finds to the community. I hope that you will join me in my journey by either supporting local or allowing me to serve your business. Your website is one of the most important tools that you have in marketing yourself. RW Marketing & Design will help you map out a logical site map, take photos to accentuate your business, and design a site around your wants and needs. Once web sites are designed, upkeep is an option. Training can be provided so that business can do principal upkeep or complete maintenance services can be provided. Elizabeth Anna’s urban farm and garden is about more than buying pretty flowers or getting a landscape installed, but we are also about loving local family farm food, inspiring others to grow edibles, welcoming (the thought of) farm animals into your life, being sustainable, educating, working with nature rather than against it, and most of all… building community. We love Fort Worth and all its dirt has to offer. 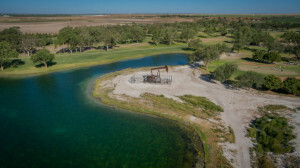 Texland Petroleum L.P. was founded in the early 1970s by Bob Schumacher and Bill Rector with the goals to explore and develop oil and gas reserves to form a broad, long-term production base in the Permian Basin. Sports merchandise business owned and operated by Chance who started the company when he was 11. Over 25 years of experience in buying, renovating, and selling single family homes in the greater Tarrant County Area. Mid-Century Modern Homes, LLC is family owned and operated by Steve De Leon. I have over 25 years of experience in buying, renovating, and selling single family homes in the greater Tarrant County Area. I have purchased hundreds of houses over the years from individuals, families and institutions that needed to sell for one reason or another. I pride myself by being able to say that I have closed on 100% of all properties I have put on contract. I am a direct buyer and if you need to sell a house I would welcome the opportunity to make you a solid ALL CASH offer! Silverstone Healthcare is an owner and developer of high-quality, Class A resident centered senior housing communities focused on providing state-of-the-art assisted living and memory care services in Texas, Florida and the Mid-Atlantic states. Lone Star Bavarian is an independent, local, and family owned BMW, Mercedes and Mini service facility located in Fort Worth, Texas. 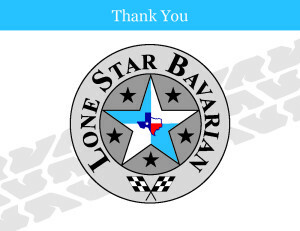 Lone Star Bavarian prides itself on guaranteed service and products. Our service technicians are factory trained seasoned specialist in BMW, Mercedes and Mini automobiles, and our customer friendly shop will make you feel like you are at home. Take a few minutes to browse our site and let us know if there is anything we can do for you.